The Spidertrax Blog » Blame Canada, Dion Wakefield is back and winning once again. Home > W.E.Rock	> Blame Canada, Dion Wakefield is back and winning once again. Blame Canada, Dion Wakefield is back and winning once again. Seems like every weekend there’s a rock crawling or racing competition somewhere in the US. 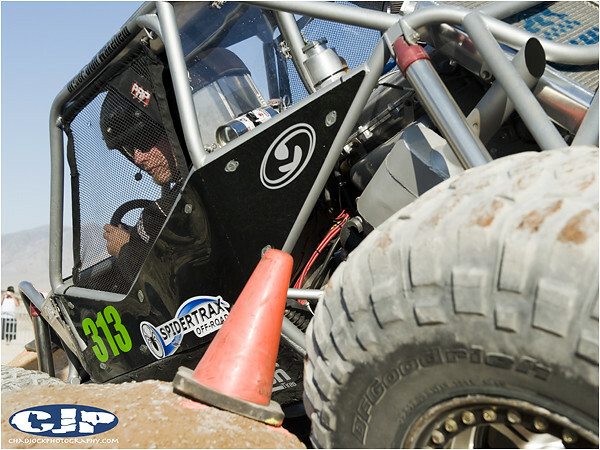 Last weekend, Dion Wakefield dusted off his old Spidertrax XTS buggy and headed down, from Canada, to the latest W.E.Rock rock crawling competition at Donner Ski Ranch. It’s always nice to see our older vehicles out there, it’s even nicer to see them winning. Dion Wakefield grabbed 1st for the Unlimited class with a commanding lead of 37 points. In addition, Jason Feuilly drove his Spider 9 powered Jimmy’s buggy to 1st in the Pro Modified class. Keep the good news coming! Sorry to say we missed this latest rock crawl event as well, having still been driving back from TORCs short course competition in Crandon. The shot above is of Dion Wakefield at the 2010 W.E.Rock Grand Nationals , courtesy of Chad Jock. No doubt Dion’s still got it. Results from the 2012 W.E.Rock Round #3 competition are below, courtesy of W.E.Rock.